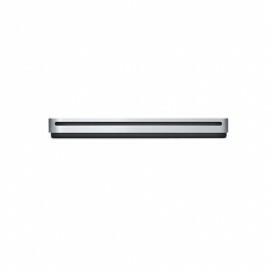 The sleek, compact USB SuperDrive. Everything you need in an optical drive. Whether you’re at the office or on the road, you can play and burn both CDs and DVDs with the Apple USB SuperDrive. It’s perfect when you want to watch a DVD, install software, create backup discs and more. Take it anywhere. Only slightly bigger than a CD case, the Apple ..